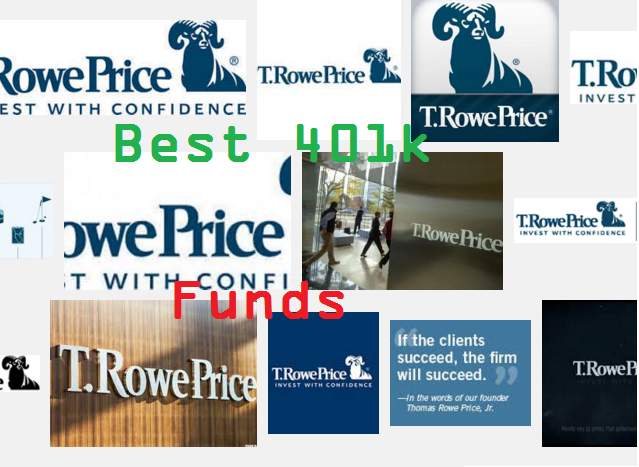 Find part 3 article of T. Rowe Price’s best 401k funds. These mutual funds are popular among investor in retirement account such as 401(k) accounts. This T. Rowe Price Small-Cap Stock Fund invests mainly in stocks of small U.S. companies. The fund manager is Gregory A. McCrickard. This mutual fund has no sales load. The current dividend yield is 0.11%. Its expense fee is 0.91%. The current assets are $8.6 billion. Morningstar has ranked this mutual fund with 4 stars rating. In 2015, it has year to date return of 1.35%. This equity fund has returned 2.57 percent over the past 1 year, and 15.91 percent over the past 3 years. Top 5 stocks are SS&C Technologies Holdings Inc, E*Trade Financial Corp, Brunswick Corp, Treehouse Foods Inc, and Pinnacle Foods Inc. The T. Rowe Price Spectrum Income Fund is ranked with bronze rating by Morningstar. This fund has a yield of 3.35%. This multisector bond has $6.1 billion of assets. Its expense ratio fee is 0.67%. The fund manager is Charles M. Shriver. T. Rowe Price Tax-Free Income Fund utilizes its assets to purchase longer-term municipal securities. The current yield is 3.77%. Total net assets are $2.5 billion. Its expense fee is 0.51%. The annual portfolio turnover rate is 8%. Konstantine B. Mallas is the fund manager since 2007. Morningstar has ranked this top 401k fund with 4 stars rating. In 2015, it has year-to-date return of 1.99%. This tax free fund has returned 2.49 percent over the past 3 years, and 5.11 percent over the past 5 years.